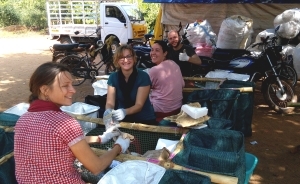 On the 17th February Eco Femme team members Jessamijn, Laura and Damla visited the Auroville Eco Service to attend the 1Hour initiative set up by a volunteer, Alex, working at the waste management centre. 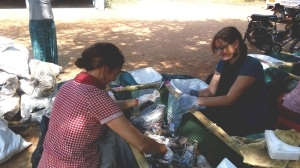 The idea of the initiative is to invite all residents, volunteers and guests of Auroville to visit the Eco Service for 1 hour to see where the waste generated here goes, how it is sorted, what can be recycled and what goes to landfill. 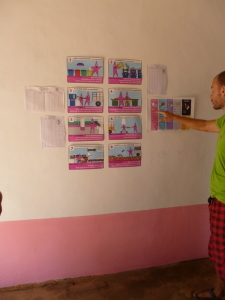 The final 15 minutes is spent sorting a bag of waste to get a feel for the process undertaken by the employees. 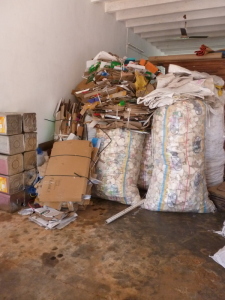 We were shown around the different areas starting with the waste ready to be sold on including cardboard, paper and plastic bags. Then onto the landfill area, sanitary waste, rubber and glass etc. 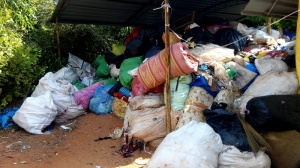 After this tour we settled down at the custom made waste sorting area and were given a big bag of ‘plastic’ to sort brought in from one of the communities in Auroville. It was a real shock to see what people were putting into this bag labelled ‘plastic’. 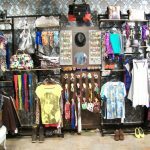 Metal, food, cloth, lots of paper as well as different grades of plastic. 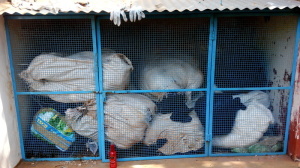 It was interesting to see how much waste is generated and what we can do with it. I would urge everyone in Auroville to give an hour of their time to participate. Part of living here is to try to live a more conscious life and to treat the earth responsibly. 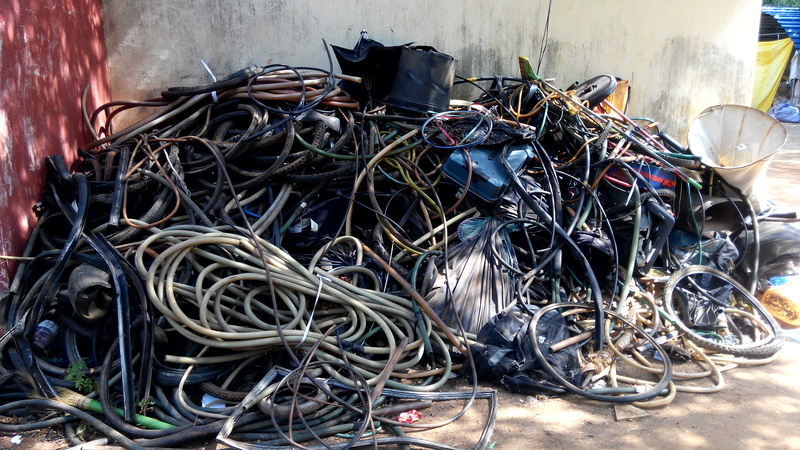 If you’re not from Auroville then how about seeing the waste collection area where you live? It is important to see where your waste goes once you throw it away because after all, there really is no ‘away’. Alex’s 1hour initiative is running for the next few weeks. Tour on request call 8940557907 or [email protected] (15 min tour on how we process the waste and 45 min helping in the segregation). All the participants of our 1hour involvement.